Welcome to Kyoto Hostel Network (KHN). 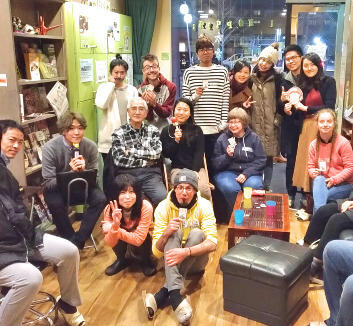 KHN is a group consisting of independent hostels in Kyoto. The member hostels offer clean, safe and cozy accommodation for all travellers to enjoy. We welcome you all to the ancient capital city, Kyoto! K's House Kyoto is modern western style hostel 9min walk from JR Kyoto station. No curfew, Spacious common lounge, Internet access, Coin Laundry, Guest kitchen and 24 hours hot shower. We have single, double, twin, triple, double ensuite, Japanese and dorm room available. A lovely Japanese Guesthouse meant “home of relaxation”. 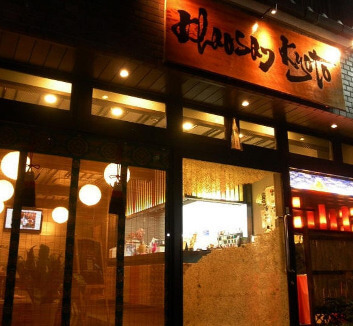 Located between Kyoto station and downtown, easy to get Kyoto’s tourist attractions. We have a kitchen, laundry, rental bikes and free WiFi. Kimono experience, Tea ceremony and Private open-air bath help to make your Kyoto’s stay much memorable! 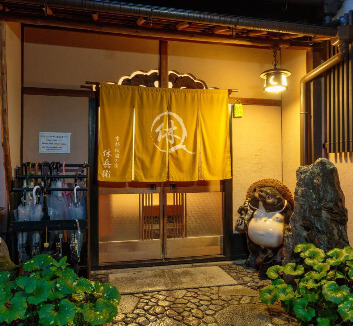 Gion Ryokan Q-beh is located in southern Higashiyama which is the most important sightseeing district in Kyoto. It contains everything from dazzling temples, to the city's main geisha district. Please experience the traditional feel of ancient Kyoto. 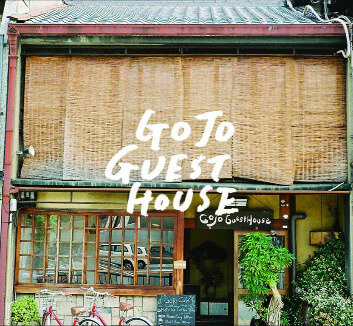 Gojo Guest House is a Japanese style guesthouse with a cozy cafe. It is located in Higashiyama area which has lots of interest such as Kiyomizu temple and Yasaka shrine. No curfew, free internet, wifi in building, air-conditioning. Single, twin, triple, dorm, all for backpackers. 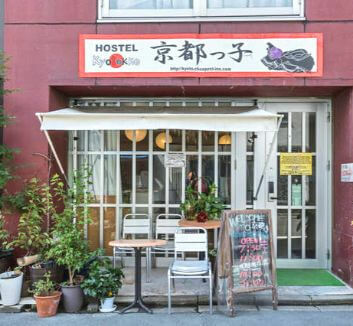 Gojo Guest House Annex is opened hostel in a converted traditional Japanese house close to the heart of Kyoto's traditional entertainment area, offering a warm welcome to the backpacker or traveller seeking art, culture and history. Hello Japan-hoppers! We welcome you with a warm heart and cozy bed ! Only an 8 minute walk away from the Shinkansen Hachijo East exit at Kyoto station. Sightseeing spots such To-ji, Tofuku-jo and Fushimi-Inari-taisha are within walking distance. 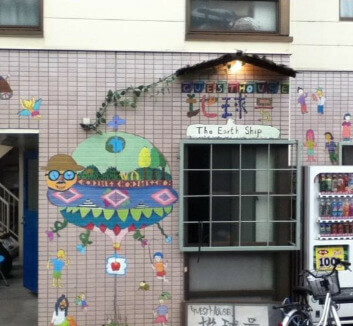 KAEDE GUESTHOUSE values the precious encounters of people from all around the world. We hope to fulfill the needs of our guests through our multifunctional offerings. Traveling enriches and colours our lives. Waft into an adventure just like a maple (KAEDE) leaf blown to a place to another by a gentle breeze. Khaosan Kyoto G.H. offers you best value for your stay in Kyoto! 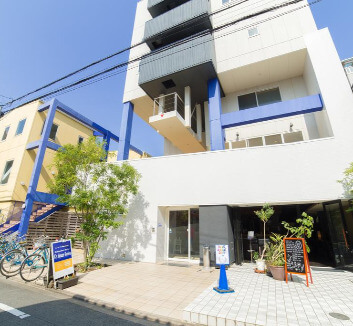 Ideally located in Shijo-Kawaramachi area, in the centre of Kyoto city, 3mins walk from Hankyu line Kawaramachi station. We do not offer luxury five star accommodations; however, our concept is “Great Value, Comfortable, Clean and Friendly for All Guests. 5 minute walk from JR Kyoto station. 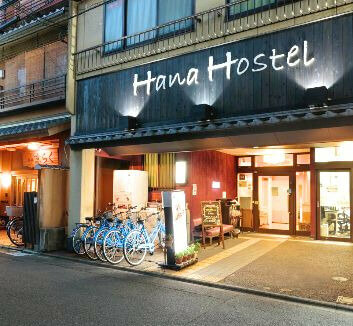 A Japanese ryokan met a western backpackers hostel and became Hybrid Inn Kyoto Hana Hostel. Most of the private rooms are traditional Japanese style with 'tatami' mats and sets of 'futon' bedding. Each beds in the dorm rooms has a personal bed light, plug outlet and curtain. Of course, you can surf on your bed by WiFi. 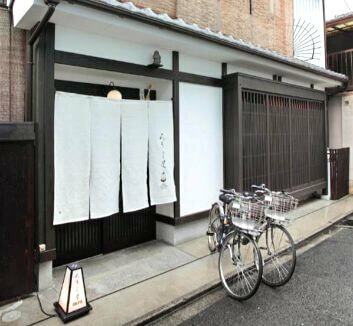 In the center of Kyoto, on the south side of Nijo-jo Castle, we've opened a Kyoto townhouse Sanjojuku. 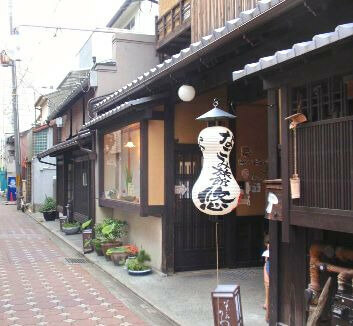 It is a traditional wooden town house in Kyoto, called a “Machiya”, built 130 years ago. Please enjoy your stay in "Sanjojuku", a classical machiya in Kyoto, full of the touch and the wisdom of the way of living. Nagomi-Ryokan Yuu is a machiya town house, composed of a lot of valuable antiques. This traditional house had been newly renovated for our guesthouse. “Nearby Kyoto station and down town, very convenient for sightseeing, no curfew, free WiFi, rental bikes and laundry.” You can experience Japanese culture such as Kimono, Tea ceremony and open-air bath. A guest house with laid-back atmosphere, and great location near Demachiyanagi station. Close to Ginkakuji temple, Shimogamo shrine, and Kyoto Unv. No curfew, Free WiFi, A/C room, Laundry, Private/ Dorm rooms are available. Our hostel opened in 2010! 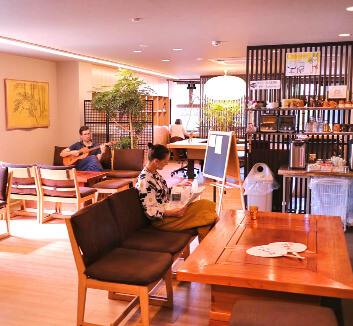 Roujiya is a cozy and modern (yet distinctly Japanese) family-owned hostel in the heart of Kyoto. 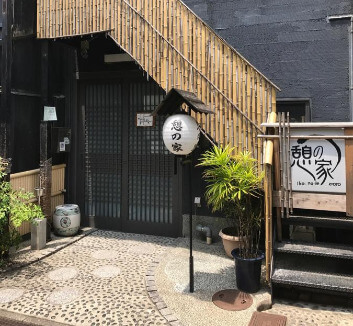 We are situated in a quiet area just a short walk from Nijo Station and close to many historic sites, including Nijo Castle. 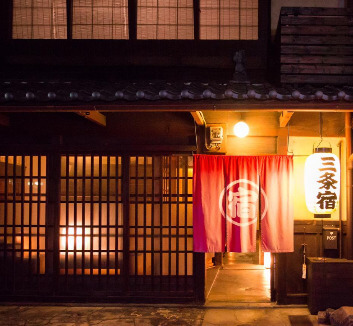 Roujiya offers a sense of calm, community, and harmony―just what life in Kyoto is all about!